The best 3D High Definition Projectors come with support for all 3D formats. These projectors are compatible with all types of devices that generate HD output and some of these devices are HDMI 1.4, Bly Ray player, and Set-top box. 3D High Definition projectors can effectively understand the 1080p signals received from these devices and thereby, give us in-depth 3D illusion making us enjoy our time. 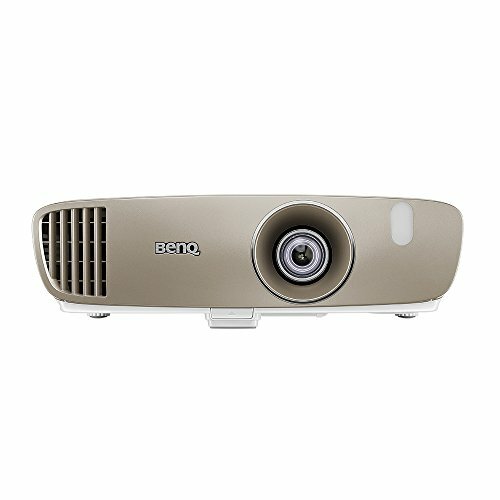 Though, the best 3D high definition projectors are specially designed to meet the requirements of those who want to enjoy 3D movies and games at different places like home theatre, living room, etc. their compatibility for 2D is still intact. As you know, we might not want to enjoy 3D movies and games all the times. Sometimes, we may want to have a good time watching memories that have captured in the past on DVD or in form of pictures. These projectors keep our fantasy going on with their compatibility for both 2D and 3D. 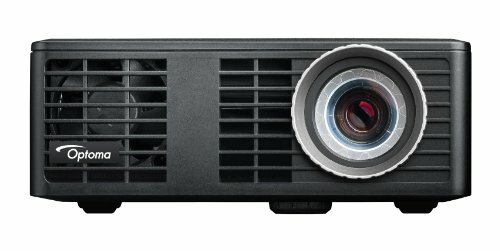 Sony, Optoma, Epson, BenQ, and InFocus are a few brands that have 3D high definition projectors supporting 1080p signals. So you have definitely been looking for the best HD projectors that bought you here and we hope you wouldn’t need to look any further because, in the next few lines, we are going to compare these best five 3D, HD projectors to help you phase out the confusion. 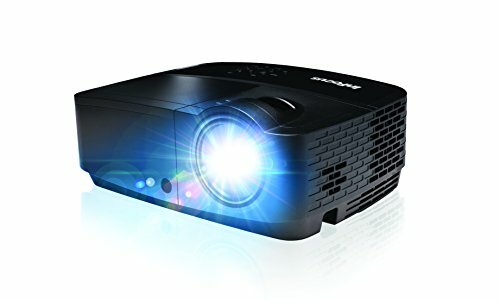 The priciest projector on this list is the Epson Home Cinema 5040UB, which uses 4K enhanced, 3LCD projection with 3D, whenever needed. The projector is quite compactly built and has been strapped with all the necessary connectivity features like USB Service, USB A, MHL, HDMI, VGA and 3D Sync. Statistically, it has 2500 lumens of brightness and an incredible 100,000:1 Contrast ratio denoting what a quality picture you can have via this projector. But then remember, it has quite a price tag. And if that’s a problem, why don’t you try the Optoma HD142X, which has the same 1080p picture, features 3D support and illuminates the space with 3000ANSI picture along with 23000:1 Contrast ratio. The projector support MHL, HDMI, USB Mini and Type A, VGA, 3D Sync and Audio out; never seeming inferior on any ground. Additionally, its DLP technology by Texas Instruments is a one up for this projector. Truly built for cinema, the BenQ HT2050 featuring an All-glass cinema grade lens and RGBRGB color wheel could be an optimum choice for those who prefer immersive movie marathons. This projector also features 2200 Lumens and Contrast ratio of 15000:1, certified by ISFccc for Day/Night viewing. Short Throw and Energy Efficiency are some more plus points about this projector apart from its incredible accessibility offered to other devices via HDMI, 12V Trigger, USB Type A and Type B, VGA, RS 232 and Audio out. However, with its MaxxAudio technology, you wouldn’t need external speakers. If you are a pro-gamer and need a suitable hardware for big-screen projection, look no further than the Optoma GT1080Darbee, which has an incredible Short Throw of 0.49:1 and has 3LCD projection technology for improved frame rates and sharpness. The projector offers 2800 lumens of White and Color Brightness and has a contrast ratio of 25000:1 which, regardless to say, is a superb configuration for gaming. To extend your console’s ability, the projector can be connected via HDMI, USB, MHL, 3D-sync and 12V Trigger. Don’t forget about the Epson Home Cinema 2040 with a 1080p 3D picture on a 3LCD projection. 2200 lumens is the power of brightness in case of this projector and 35000:1 Contrast ratio lets you easily distinguish between gray and black levels. Now, this projector is quite recommended because of its moderate price tag, good number of essential features including those for connecting other devices via HDMI, USB Type A and Type B, MHL and VGA.